This week has been one that truly tested my patience. I don't know if it was stress, anxiety, lack of sleep, or just a general annoyance, but I found myself looking negatively at everything that came my way. I found no patience in things without instant gratification. It's easy to say that you're not 'going to put up with any of that', whether it be people or situations that don't fit your personal needs. 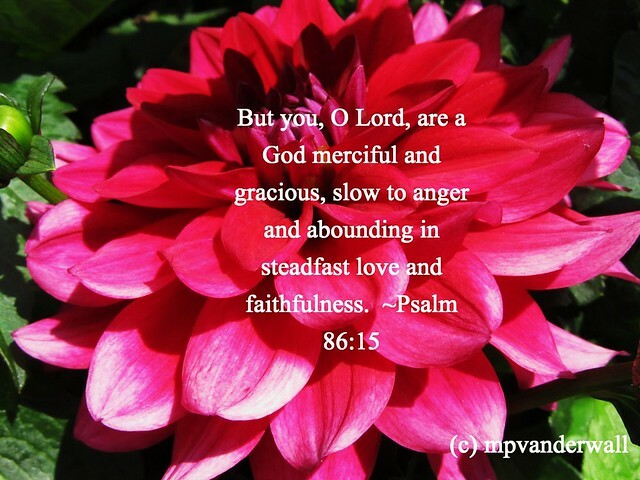 But we have to be reminded that our graceful God is forever being patient with us. Is that not the craziest thing?! God created each and every one of us, has to put up with every single thing we do that doesn't praise Him, but still has this patience. What a merciful Lord, I must say. So, this week, I had to take a second and think of incorporating patience and compassion into every day. And James 1:19-20 is one of those verses that if you really look at each word, it can mean a lot. 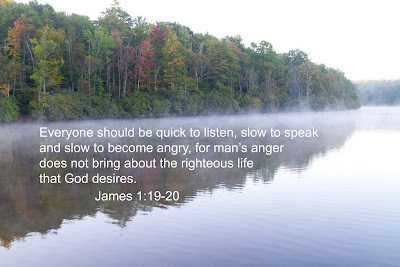 I have lots of trouble with this being 'quick to listen, slow to speak, and slow to become angry'. But if I lack this patience, I'm not bringing about the righteous life that God desires. Just a thought for today about trying to remember patience and compassion.